Marriott's Lakeshore Reserve at Grande Lakes offers the best in Orlando accommodations with generous family fun and efficient suites. Find timeshare resales and rentals priced up to 70% lower than retail costs today. Nestled in a peaceful corner of Marriott's massive, 500-acre Grande Lakes resort complex, the Marriott Lakeshore Reserve provides a one-of-a-kind vacation experience within a man made paradise. Carved into the stunning natural scenery of Central Florida, the resort's grounds are impeccably maintained with tropical plant life and unique architectural features. On-site amenities like the Ritz-Carlton Golf Club, the zero entry pool with waterslides, and a complete fitness center ensures each and every guest has what they need to truly enjoy vacation. The accommodations at the Lakeshore Reserve leave no stone unturned. Units are divided between gorgeous split-level townhouses and sprawling villas, and can fit up to 12 guests. With enough space for everyone to be comfortable, these modern and updated accommodations feature in-unit amenities that will make you feel right at home. 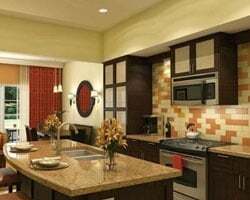 Prepare your own meals in your full kitchen, use the in-room laundry machines to make sure everyone has a clean set of clothes, or simply relax on your own private porch. Whatever it is you seek to do, the luxury units at the Lakeshore Reserve will make you feel at home as you're doing it. Are you ready to make this luxury Orlando resort your home-away-from-home? 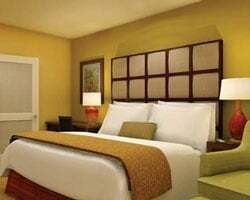 You can take advantage of affordable timeshare resales and rentals available at the resort now. Just fill out the form on this page to learn more, or call a representative at 1-877-815-4227. Purchasing a timeshare resale at the Lakeshore Reserve Marriott will enable you to make your yearly Orlando trips much more cost-effective. Since timeshare resale advertisements are provided by current owners instead of the resort itself, they are priced considerably better. You can even find the same great timeshare ownership accommodations at the resort for prices up to 70% below retail costs. This will allow you to more affordably plan your yearly getaways to Florida without hassle. Resales at the resort are offered in both deeded fixed and floating weeks, allowing you to find an ownership interval that works best for you. Additionally, you'll be able to filter results according to your own preferences—you'll find timeshares at the Lakeshore Reserve available at a number of different price points that fall within Marriott's Platinum and Premier Platinum seasons. 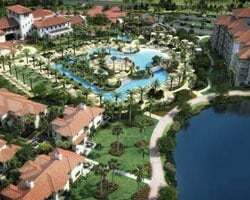 The Lakeshore Reserve Orlando is affiliated with Marriott Vacation Club, one of the largest and most popular vacation clubs in the world. With a Lakeshore Reserve timeshare resale, you'll be able to take advantage of some perks exclusive to club members, but you can unlock more specialized benefits by upgrading your ownership. Upgrading into the Marriott Vacation Club Destinations program can earn you Marriott Destination points to book rooms at the Lakeshore Reserve, making the reservations process a breeze. You could also be able to exchange your Orlando accommodations internally for stays at other Marriott resorts across the globe. Marriott's Lakeshore Reserve is also an affiliate of Interval International, one of the world's best timeshare exchange brands. Timeshare exchange can allow you to truly maximize your resale ownership—with an additional Interval International membership, you can trade your accommodations for stays at other resorts around the world. What's more, the Marriott Lakeshore Reserve resort is an Elite-rated resort with Interval International, signaling its excellent amenities and on-site services. This rating will likely increase your trading power, allowing you to find more trade-worthy resorts available to you. The Marriott Lakeshore Reserve resort is filled with features and amenities designed to make your stay a memorable one. Upon your arrival, you'll want to head straight down to the resort's swimming area, which features the Zero Entry Outdoor Pool, the Plaza d'Acqua Outdoor Pool, two waterslides, and a whirlpool spa for the ultimate relaxation. Also on-site, golfers will delight at the Ritz-Carlton Golf Club, Grande Lakes. Dinner is an easy fix at the resort's restaurant, Blossom's Bar and Grill, while you can pick up quick goods at the marketplace. Free WiFi is available throughout the resort's grounds, while the resort's free parking area allows easy storage for your rental vehicle. Nearby, all of Orlando's delights are available to you. The ever-popular theme park attractions of Walt Disney World, Universal Studios, and SeaWorld are all within convenient driving distance, while day trips to the John F. Kennedy Space Center are also easy. 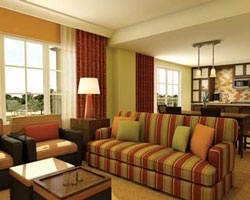 Golf at any one of Orlando's spectacular courses, or shop 'til you drop at The Mall at Millenia. Visit the American Art Museum or take a kayak tour through Shingle Creek for something to do instead of a theme park trip. Already Own at Marriott's Lakeshore Reserve?